Amateur photo of the wrecked car after it collided with a JUTC bus. 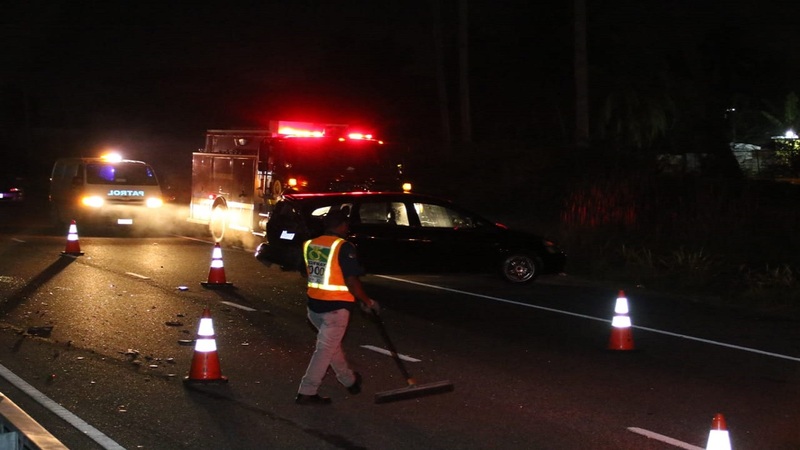 A 20-year-old man, Shem Cole of Wellington Drive, Kingston 5, died as a result of injuries he received in a motor vehicle accident along the Sir Florizel Glasspole Highway in Kingston on Tuesday afternoon. 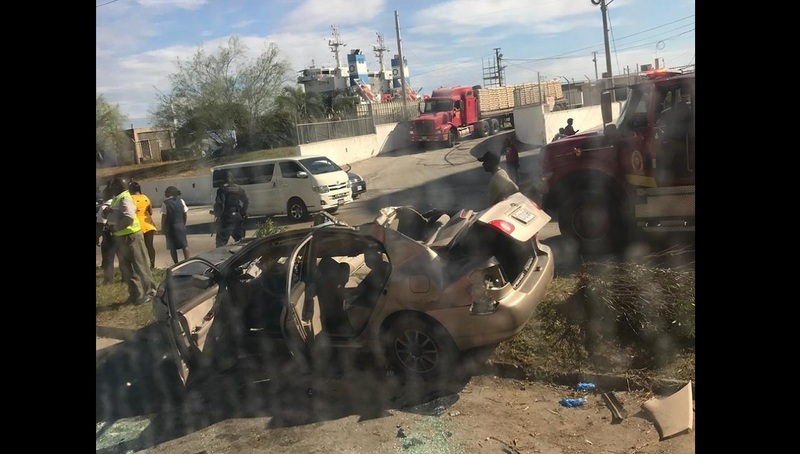 Reports from the Harbour View police are that about 2:25 p.m., Cole was travelling westerly in a Toyota Corolla motorcar when the driver of the motor vehicle reportedly lost control of it, resulting in the car hitting a median and flipping over to the other side of the dual carriageway, where it was hit by a Jamaica Urban Transit Company (JUTC) bus. The occupants of the motor vehicle were taken to hospital, where Cole was pronounced dead. Three others persons were admitted for treatment. 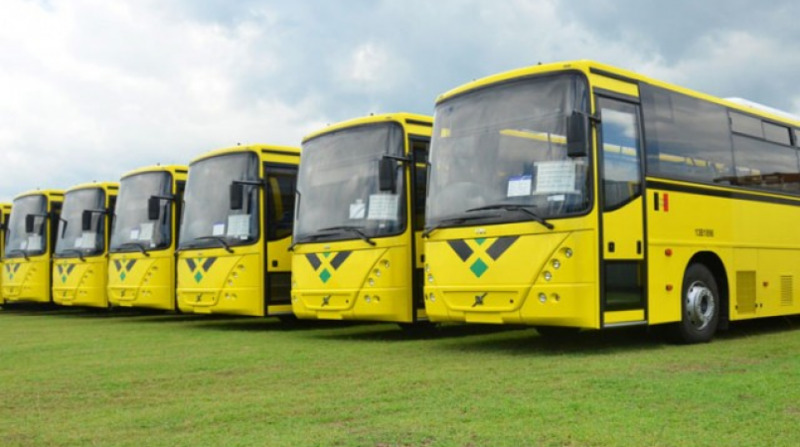 The driver of the JUTC bus escaped serious injury. Police investigations continue into the incident.